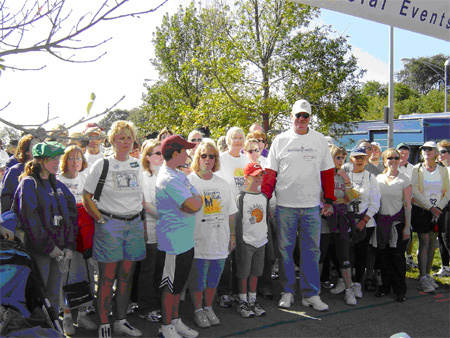 The Ted Hendricks Foundation is a 501(c)3 organization with goals aimed at providing assistance to local and national charities through awards, grants and scholarship programs aimed at recreational, health and educational programs for both youth and seniors. Using his native Spanish Fluency, Ted often talks to students about the importance of setting goals, education excellence. Ted hosted hundreds of patrons at events that benefit selected charities. In Kind donations for special projects. Born in Guatemala City, Guatemala, Ted Hendricks was an honor student and multi sport athlete at Hialeah High in Florida. The first collegiate Three Time All America selection, he majored in Physics and Mathematics at the University of Miami and was selected in the 1969 NFL draft by the Baltimore Colts. He played a key role in Super Bowl V, played one year for the Green Bay Packers and 9 years and 3 Super Bowl victories for the Raiders. Ted was a strong, fast and devastating tackler and at 6'7" with wide ranging ams was tagged the "Mad Stork" by his Miami Hurricane teammates. He is the only Miami Hurricane to be inducted into UM, Florida, Bay Area, Collegiate and Pro Football Halls of Fame. 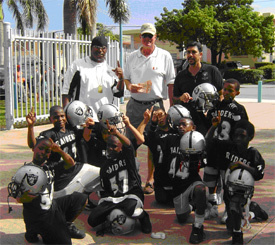 Ted currently serves as the Vice President of the Hall of Fame Players, is founder of the Ted Hendricks Defensive End of the Year Award, and spends much of his time dedicated to helping both youth and seniors. His interest in helping providing recreational, health and educational opportunities for those in need is the focus of The Ted Hendricks Foundation who's motto is: "Making a difference in the lives of today's seniors and tomorrow's leaders."